After your divorce, getting along at the holidays can be a stressful situation when you have kids. On top of trying to work out holiday visitation schedules and travel plans, you may also be worrying about what to get your kids. As always, you want to get them something nice, but might not have the resources to buy things like you did before the divorce. 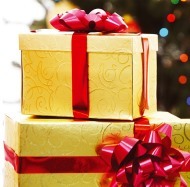 The following article offers some good advice on how to handle Christmas gifts for children after your divorce. Sharing the holidays with your ex can be a challenge. Arranging the schedule so that not only both parents, but also extended family, have time with your child can be a gargantuan task. However, one important aspect that most divorced parents don't give much consideration is having a cooperative approach to your child's gifts. It's too easy for the holidays to become a challenge, to see which parent can buy the most stuff, the best stuff, or the most expensive stuff. You and the other parent have to make sure this doesn't happen to you and your child. Setting up a competition like that takes the focus of the holiday away from your child and spending time together, and instead, places it on your feelings of inadequacy. You and your ex can meet for coffee and talk about what your child wants or would like as gifts, and divide up the list, so you're not duplicating each other and know what the other is buying. If you have a hard time sitting down and talking in person, do it by email. Make sure you agree neither of you will spill the beans about what the other is buying (it's not unheard of for parents to try to hurt each other in this way). Also, don't take this information and then go buy more and better things than your ex is buying. If one of you buys your child a puppy, a new video gaming system, a violin, and big-screen TV and the other buys a few toys, feelings are likely to be hurt because there is going to be an obvious disparity. The spouse who buys the big gifts often does not realize he or she is hurting the other parent and thinks that if it makes the child happy, it must be a good things. However, if you're the spouse who doesn't splurge, you might end up feeling like you've failed your child or she will love the other parent more. Neither of those things is true at all, but to avoid this situation, it's a great idea for you and your ex to set a dollar limit on how much you're each going to spend. This doesn't have to be a rigid set amount. For example you could agree on a range you will stay within. There are times in your child's life where one of you will want to buy a big gift and it's certainly ok to do so. However, try to come to an agreement that you'll at least talk these over or give each other the head's up. Some parents like to chip in together on big gifts, even if one parent is only paying a small portion, so that the child doesn't feel like one parent gives better gifts than the other. When giving big gifts like computers or bikes, make sure you and your ex talk in advance about which house the item is intended for and make that clear to the child when the gift is opened. Try to focus yourself and your child on the fact that the holidays are not all about gifts. Spend time together doing holiday things, such as crafts, going to services, visiting Santa, going to a concert, decorating your home, baking, watching Christmas specials, and so on. It's also important to remind your child that giving is an important part of the event. Take him shopping to buy a small gift to give the other parent. Let him wrap it himself. Remember that when your child is grown up, she is not going to remember who gave her the most Barbie's, but instead will remember the happy holiday times she spent with each of her parents. Drop by the Christmas Corner for Holiday Deals at Amazon.com, your one-stop shop for holiday essentials, where you can get great gifts at amazing prices. The articles below offer more tips to help you deal with your children's expectations during Christmas, coping with the changes, managing the holidays on a tight budget, and more.